One of five threatened species of Podocarpus endemic to Madagascar where threats include deforestation, cutting for firewood, fires and grazing. Madagascar: Itremo Massif, Manandona. Other disjunct localities are known from historic herbarium records but they are thought to be no longer extant. Podocarpus capuronii is found on skeletal sandy soil over quarzite or gneiss, along streams in ravines and on rocky slopes and ridges. It is a slow growing shrub or stunted tree in these depauperate sites; in forest it may attain 20m. The altitude (from information with herbarium specimens) ranges from 1320–2000m, but is reported to extend to 2800m above sea-level. No uses have been recorded of this species. It is likely to have been used as firewood when still abundant; perhaps the wood of larger trees was used in local construction and hand tool carpentry as is the case with many other species in this genus. Probably now restricted to the Itremo massif, where all recent collections have been made. 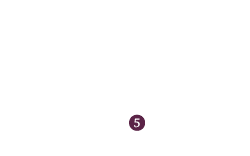 The disjunct occurrence (see map) is based on Perrier de la Bathie No. 13163 in the Paris Herbarium (P), which was collected in the 1920s (exact date unknown). 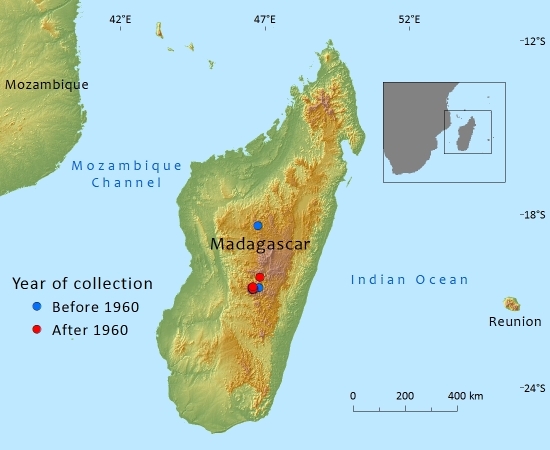 Habitat loss is considered to be very high in the whole of central Madagascar. Habitat loss is considered to be very high in the whole of central Madagascar due to deforestation, cutting for firewood, fires, and grazing. This species is not known to occur in a protected area. Silba, M.D.G. (1983). Flora de Mocambique - 1. Cycadaceae. 2. Podocarpaceae. 3. Cupressaceae. Instituto de Investigaçao Cientifica Tropical, Lisbon. 2015. Podocarpus capuronii, from the website, Threatened Conifers of The World (http://threatenedconifers.rbge.org.uk/taxa/details/847).